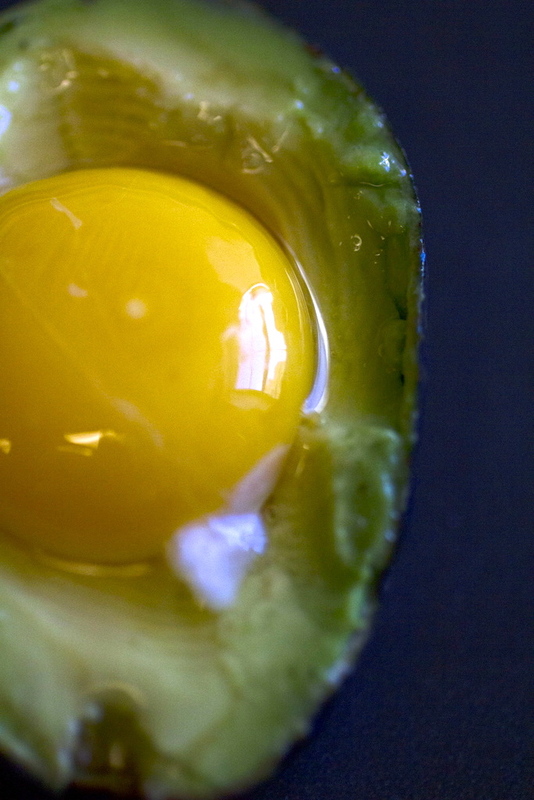 The name is pretty self-explanatory: egg + avocado = the best 2-ingredient breakfast since milk and cereal. 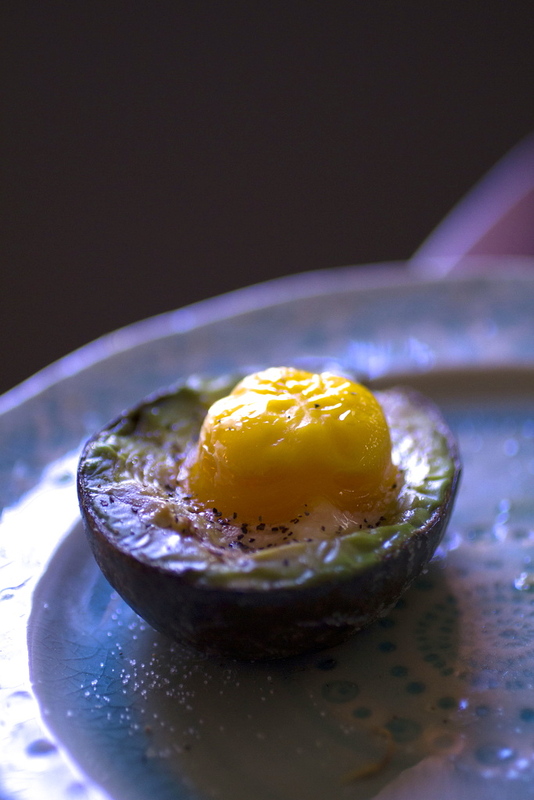 The egg is cooked in the empty hole where the avocado pit used to be, so it’s easy to eat and fun to make. Plus, 6 grams of protein and 5 grams of monounsaturated will help keep you full before lunchtime or after a workout. 2. Cut the avocado in half (save the other half for another Eggocado) and take the pit out. 3. Cut a thin slice off the underside of the avocado, so that it sits flat on your cutting board. 4. 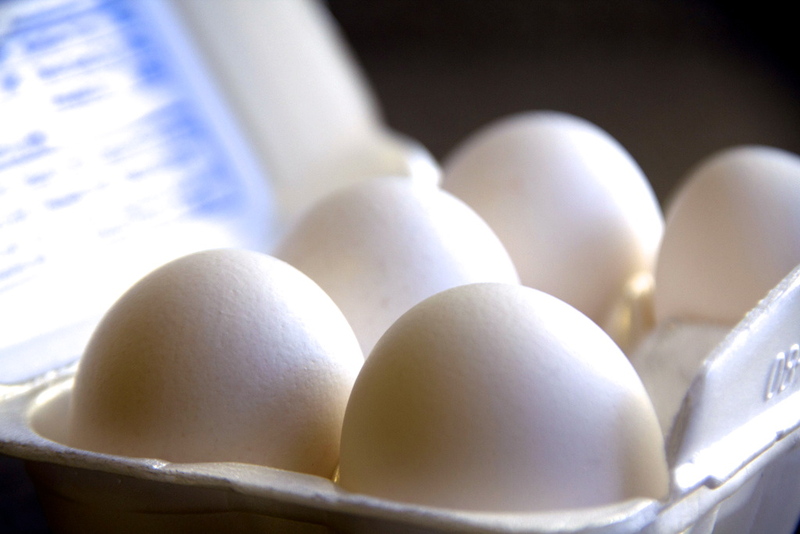 Crack the egg in a bowl. Pour as much as you want into the hollow of the avocado. 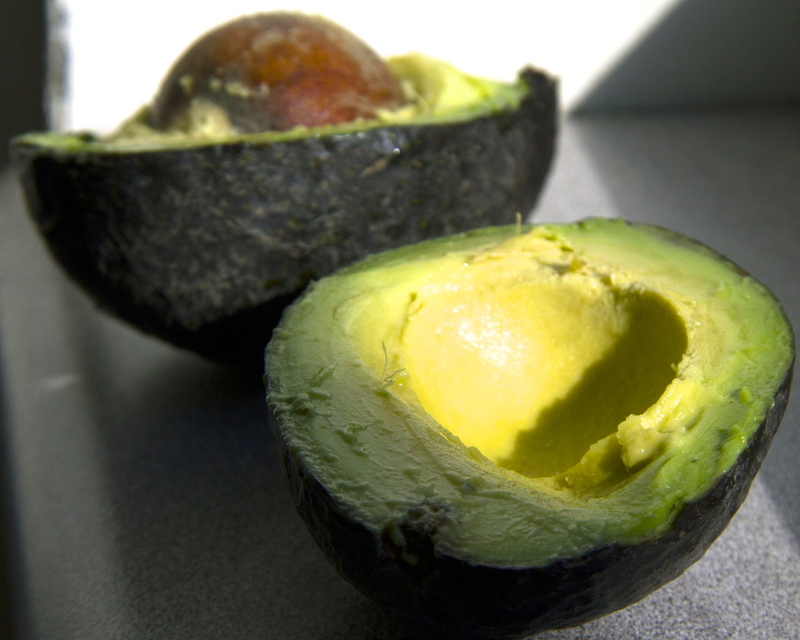 If the hole is too small and you want to use the whole egg, scrape out some of the avocado to create more space. 5. 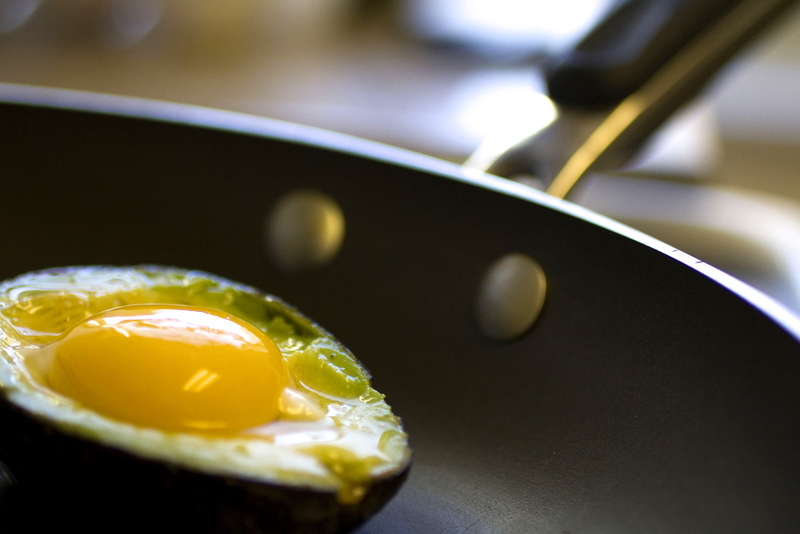 Place your uncooked Eggocado onto a skillet or pan and bake for 15 minutes. 6. Remove from the oven and season with salt and pepper, dill or sriracha.